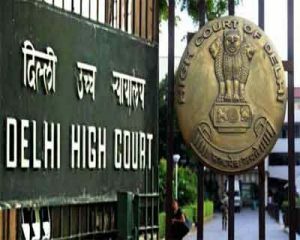 New Delhi: In a recent court case, the Delhi High Court was seen reprimanding the apex medical institution of the country and imposing a fine of Rs 50,000 on it on account of filing a frivolous complaint. The case was that of a nurse, who was seeking Voluntary retirement from the institution seeking her inability to work due to her taking care of her ailing aunt staying in United Kingdom. Denied the same by the institution, she resigned and sought release of her pension, gratuity and other retrial benefits but was denied the same on the grounds that she had not completed her mandatory 20 years of service with the government . Since the same were not released, she made a detailed representation to CAT. At the CAT tribunal, AIIMS further submitted that the respondent had sought to resign from her services and not to seek voluntary retirement on 14.07.2004, and thus, she was not entitled to pension and other retiral benefits. The high court clearly noted that the perusal of the impugned order shows that the said rejection is premised on well-settled legal position and hence passed an order in favour of the nurse, but not before reprimanding AIIMS. “As noticed above, despite the aforesaid position being the well-settled by a catena of decisions, the petitioner has dragged the respondent to this Court; wasted public money; and the precious time of this Court. We do not approve such a litigious attitude on the part of the petitioner. Now this money will be paid from the institute i.e. public money ( exchequer\’s money paid as income tax). This is the reason why govt officials commit all sort of illegal acts and file cases against the victim only. They know that firstly they will not be held guilty; even if the judgement goes against the authorities, the compensation will be paid from the pubic money. And the officials do not suffer personally. This compensation money should actually be recovered from the officials who were responsible from this faults, only then these babus will changes otherwise they will keep on harassing the subordinates and public at large. I 100% agree with Mr.Raj. The money should not only be recovered from responsible officials but they should also be penalized by the institute also so as to set example for the officials to come. It\’s a drop in the ocean, 3 writ petitions stay orders are effective against me. Government and quasi Govt bodies have a habit of appealing every decision. Why to avoid any internal blames. This must be stopped.